Walking in Lanzarote is a unique experience! is an unforgettable long walking path. This footpath stretches from Órzola in the north of Lanzarote, through the centre of the island to Playa Blanca in the south. The path has been divided into 5 stages, therefore offering residents and tourists the opportunity to get to know the island of Lanzarote walking. 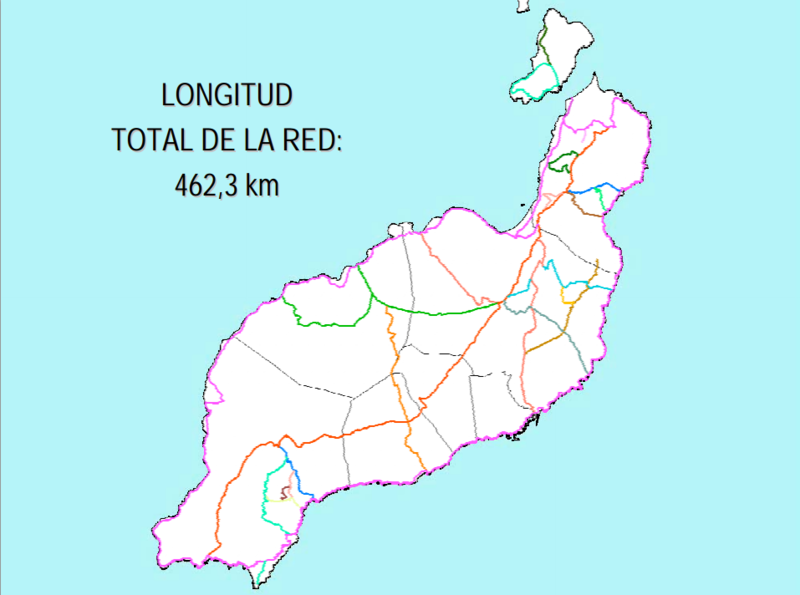 starting in Órzola, passing through Máguez, Haría, Teguise, San Bartolomé, Tías, Uga, Yaiza and finishing in the resort of Playa Blanca. The pink route marked will be the GR135 which is a circular footpath of 182.9 km stretching around the coastline of Lanzarote. Walking in Lanzarote a different and unforgettable way to discover this unique sunny & volcanic island! Casa Esquina del Mar is, therefore, the perfect spot in the north to start your unique experience! If you’re interested in diving in Lanzarote, here’s some interesting news or news about surfing in Lanzarote.